Slate shingles are considered to be an investment. However, many owners have the false idea that once these shingles are installed, they can be ignored and be expected to last for more than ten years. This is absolutely absurd. All roofs require regular upkeep. If you fail to inspect your roof on a regular basis, you could end up with holes on your roof, followed by expensive repairs. If this continues to be ignored, you’ll have to spend on even costlier roof replacement. It’s possible and understandable to go through two years without any roof maintenance. However, if you start noticing several broken slate tiles, or when the tiles end up on your lawn instead on your roof, you are faced with a difficult decision. Should you go for roof replacement or repair? Roof Replacement or Roof Repair? The reason why roof replacement is usually stalled is because it’s not cheap. And so, if it’s not totally necessary, people opt to make repairs instead of a full-scale replacement. However, it’s knowing the difference between roof that requires repair, or the one that needs replacement that’s the key. The first thing that will determine if your roof needs replacing is to check if there are any shingles that need replacing. A great way to determine this is through a knuckle test wherein you tap on multiple areas. 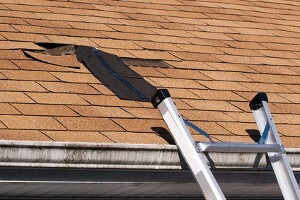 If there are hallow sounds, this means that these shingles need replacement. Another indication of the need to replace your roof is if more than 20 percent of your slate shingles are either missing, broken, or did not pass the knuckle test. You could repair them, but you’ll end up paying more in the long run. The remaining slates will deteriorate and cause the other shingles to dislodge or be damaged. If your roof is properly maintained, there are less chances of needing replacement. If it is time to replace your roof, always make sure to hire an experienced roofer. You absolutely do not want a beginner to work on a project as big as roof replacement. Do your research and get quality for every dollar spent. Call your Stevens Point roofer today to roof repair or replacement.